Microsoft will end its free Windows 10 upgrade program on July 29, possibly giving an unexpected boost to PC shipments in the second half this year, according to IDC. 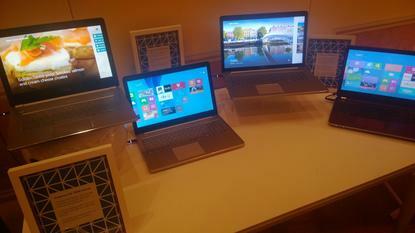 Buyers may opt to buy a new Windows 10 PCs instead of upgrading existing PCs with a paid version of the OS. Many businesses are evaluating Windows 10 and could also upgrade. Windows 10 hasn't helped boost PC shipments so far. Instead of buying new PCs, people have been taking advantage of the free program and upgrading PCs from older Windows versions. The PC market is still in a slump, and that didn't change in the second quarter. But shipments were better than expected, and that sets the stage for a mini-recovery in the second half. PC shipments totaled 62.4 million units during the second quarter, declining by 4.5 percent compared to same quarter the previous year, according to an IDC survey released on Monday. IDC originally predicted a decline of 7.4 percent for the quarter. Some improvements were thanks to gains in U.S. PC shipments, which grew by 4.9 percent during the second quarter. The quarter's numbers reverse a sustained double-digit decline in PC shipments dating back to the second quarter last year. PC shipments may be better in the second half, but declines will continue. "The PC market continues to struggle as we wait for replacements to accelerate, along with some return of spending from phones, tablets, and other IT,” said Loren Loverde, vice president at IDC. IDC is projecting year-over-year worldwide PC shipments to decline until 2018, but positive growth could return earlier than expected. Enterprise upgrades to Windows 10 PCs could help boost shipments this year. But the repercussions of the recent Brexit vote in the U.K. have yet to be determined, IDC warned. Lenovo and Apple, with shipments that have generally grown through troubled times in the PC market, recorded year-over-year declines during the second quarter. HP, Dell, and Asus recorded growth in shipments. Lenovo, the world's largest PC maker, shipped 13.2 million units -- declining by 2.3 percent year-over-year -- but the company still had a 21.1 percent market share. HP retained second place, with shipments of 13 million units, a growth of 5.1 percent. Dell was in third place, and its shipments grew by 4.2 percent to 10 million. Fourth-placed Asus' shipments grew by 5.4 percent to 4.5 million. Fifth-placed Apple's shipments totaled 4.4 million, an 8.3 percent year-over-year decline.